If you need the ability to allow customers to specify a delivery date or time when ordering from your WooCommerce or WP e-Commerce powered online store, then this plugin could be just what you are looking for. The Order Delivery Date Pro plugin from Tyche Softwares integrates with WooCommerce or WP e-Commerce and WordPress and enables the ability for customers to choose a delivery date, or optional time slot, when checking out of your store. It also allows the store admin users to decide which days or dates deliveries can be scheduled for and whether to apply charges in certain situations or not. As this plugin is being constantly developed, a number of new features have been added since its initial release. Today we will look at this plugin and see what features it includes, as well as how easy it is to setup and use from an admin and customer perspective. This review will be covering the WooCommerce version of Order Delivery Date Pro. Why Add This Feature to Your Store? As you can see there are a number of reasons why your store can benefit from adding the features of this plugin. If you are running an income generating online store then you probably don’t want to be installing plugins from unknown developers. While most WordPress plugins do work well, you never know when a conflict will arise, or whether support for a plugin you come to rely on will be discontinued. For that reason it’s always a good idea to carry out some research on the developer of any mission critical plugins you install. Thankfully the team behind this plugin – Tyche Softwares – has a good reputation amongst WordPress users and they have a number of plugins that have been well received by the community. 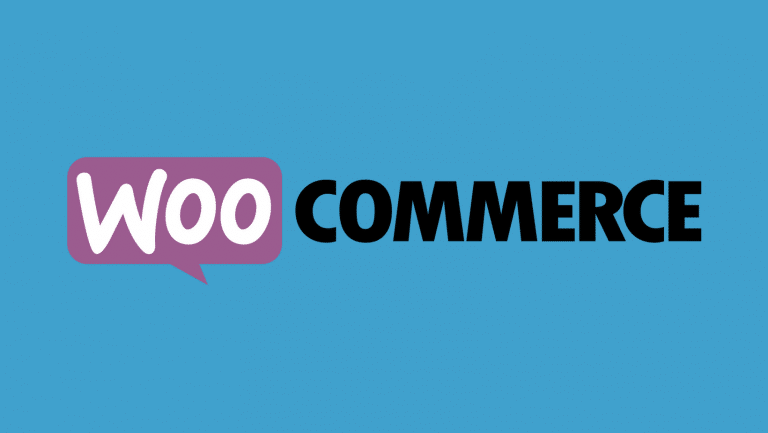 They specialise in eCommerce plugins for WooCommerce and WP-Ecommerce and by taking a look at their website, you can see that they are quick to respond to user comments regarding their products. The plugins are all updated regularly, showing they are supporting their products. To view more information about the developers visit the Tyche Softwares homepage. There are versions of this plugin available for WP-Ecommerce and Opencart, however, today we are looking at the plugin that has been created to work with the WooCommerce eCommerce toolkit for WordPress. As the name of this plugin suggests, customers can now choose a delivery date and time when checking out from your online store. Through the plugin’s settings page, site owners can create the possible dates and time slots when deliveries can be schedule for. Allowing customers to select a time slot is optional so if you only want to allow date selection that is possible with this plugin. A recent update to this plugin has added the ability to add a delivery charge to an order if the customer chooses delivery for a certain day. This could be applied to all Saturdays, or specific dates such as holidays. For those who want to offer same-day or next-day deliveries at a charge, then Order Delivery Date Pro can enable you to do so. From the admin perspective, delivery dates and times are included on the order page of their site, allowing you to see when deliveries are due and schedule them accordingly. This plugin will also appeal to multilingual users as its not only contains multiple date formats but also comes with translation into 62 different languages. Another recent update has enabled plugin upgrades to be carried out via the admin dashboard, rather than by manually uploading the new files. Although Tyche Softwares do offer an appointment booking plugin for WordPress, the Order Delivery Date plugin could also be used to allow for the booking of timeslots rather than delivery times when purchasing a service through the online store. For the full list of features, visit the plugin homepage. As mentioned, this plugin works with WordPress and WooCommerce or WP-eCommerce, so it can only be used after one of them has been setup on your site. Whether your store is yet to be built or is already running, the Order Delivery Date Pro plugin will slot right in and add its functionality to your store. The process for installing the plugin is the same as any other premium plugin: download it from the developer’s site and then upload it via the admin dashboard or by using FTP. Once installed and activated, the plugin adds a menu item to the WordPress admin area entitled ‘Order Delivery Date’. From here you can configure the plugin to match the delivery options offered by your store. The first set of options of the plugin allows you to set the days when deliveries can be made. For each day you can also set a delivery charge. This allows you to disable deliveries on a weekend, or charge a fee for delivery on those days if you wish. The other options on this page allow you to set a minimum delivery time. This is the amount of time required between the order date and when the order can be shipped. If it takes two days to prepare and send out the product then you can set this period here. You can also set the number of dates to show in the calendar which the customer can select from, show the delivery date in the order email, make selecting a delivery date compulsory, and lockout a date after a set number of deliveries have been scheduled on a single date. Once you have configured the options for this page, remember to click the ‘Save changes’ button before moving on. As not all online stores and retailers are able to guarantee a delivery time, this feature of the plugin is entirely optional. However, by enabling it, this feature could allow you to repurpose the plugin and use your online store for booking appointments, rather than setting delivery times. If you do enable this feature, then you can easily set a window where deliveries can be made, simply by setting a start and end time. If your online store can offer same day deliveries then you can enable this option at this point, otherwise the minimum delivery time that was defined on the previous page will be used. If you do enable same day deliveries you can set a cut off time by which orders must be placed to qualify. The same applies for next day deliveries. If you do enable these features, you can also specify a charge for same day and next day deliveries which are added to the customer’s bill at checkout. If your store doesn’t carry out deliveries (or appointments) on certain dates then you can define these occasions under the ‘Holidays’ tab. Each date has to be added individually, rather than having the ability to enter a date range, and there is no option to edit dates to update them for the following year. However, this setting does use a date picker to make it easier to add the dates. Under the appearance tab, you can set the languages, the date formatting and the field labels that are displayed to the customer. There is also the option to change the theme that is applied to the appearance of the date picker to help it better blend in with your theme. The ‘Delivery Days’ settings covered previously allows you to set days when your store can deliver, such as Monday to Friday. Under the ‘Delivery Dates’ settings you can define the specific dates when you can offer a delivery. If enabled these delivery dates will overwrite the options defined in the ‘Delivery Days’ settings. You can also set an additional delivery charge for any of the dates. An example of where you might use this would be if you were offering a limited delivery service and were only able to deliver on a few set days a month, rather than on a regular basis. Another feature of the Order Delivery Date plugin for WooCommerce is the ability to define time slots for delivery. This is optional and if your courier service can accurately deliver at set times then the slots can be created here. Alternatively this feature could be used for booking appointments or sessions as you could create a time slot based on your availability and set the lockout to one order to prevent double bookings. Once you’ve entered your time slots then the plugin is fully configured. However, you can of course go back at any point and edit the settings. That about covers all the features and settings of this plugin. Most of the features are optional so you can simply enable the feature for allowing customers to specify a delivery day and leave it at that, or get more detailed and allow them to specify a specific time and add extra charges. The plugin automatically adds any delivery fees you’ve defined that apply to the order total and clearly lists those additional charges so the customer knows what the extra cost refers to. Depending on the settings of your store, the customer will receive an email confirming their order, including their chosen delivery date and time. The admin user of the site will also receive an email containing the order information and the delivery date and time. From inside the store, the store manager can view the delivery dates by clicking on an order from the WooCommerce orders page and then scrolling down to the relevant custom fields. If you do run a profitable online store then this should be a small price to pay for adding this extra level of convenience to your customers. This plugin is very functional. The admin interface is very easy to use and has been arranged in a way that makes working through the various settings very straightforward. The visual design of the backend probably won’t impress you too much, but it works well and makes use of the native WordPress UI, rather than trying to reinvent the wheel. At each stage of the setup process, the options are documented with a tooltip help item which explains the settings in more detail. If the plugin could be improved in any way it would be to add a way for the delivery date to be displayed on the WooCommerce Orders page, without the need to view the individual orders. Or alternatively some kind of indication on the Orders page to let you know which orders have a delivery date associated with them. The addition of a calendar or page showing all the forthcoming delivery dates specified by customers could also make it easier to keep track of orders, especially those made far in advance. However, as it is the Order Delivery Date plugin works very well and does the job it was created for. As new features are being added on a regular basis by the developers, if you do have any features you’d like to see included, then it is worth getting in touch with them. If you need to add the ability for customers to choose delivery dates on your online store then this plugin includes everything needed to do so, while also being very easy to setup and use.